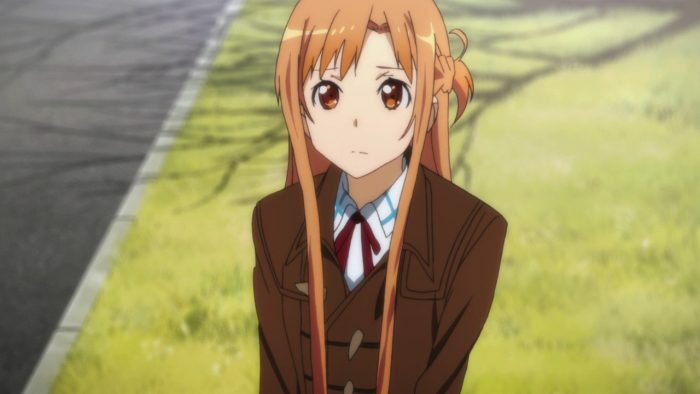 After losing contact with Yuuki, Asuna is trying to find her in real life. 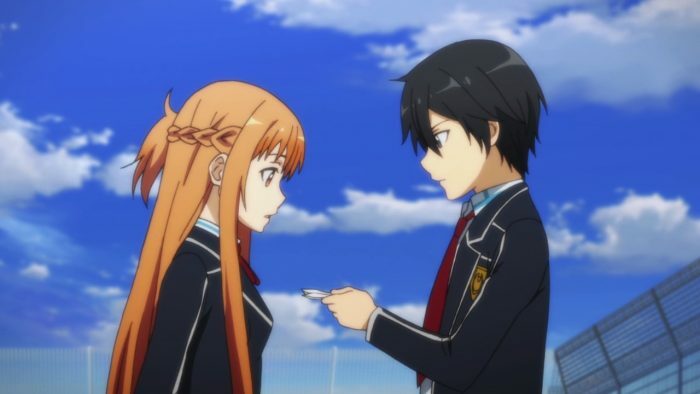 With Kirito’s help, Asuna finally locate Yuuki in a hospital. 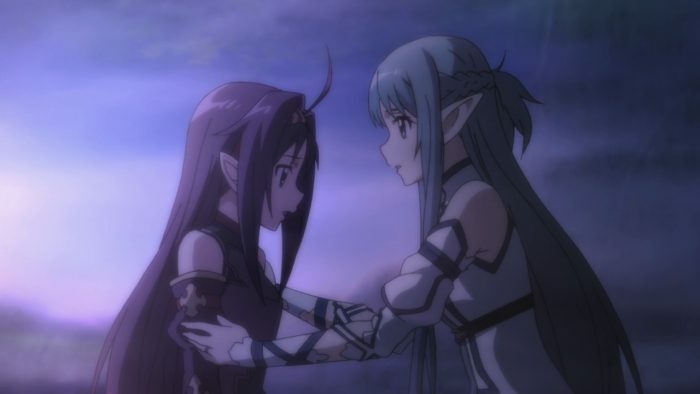 There, she learns the real reason behind Yuuki’s strange behavior. 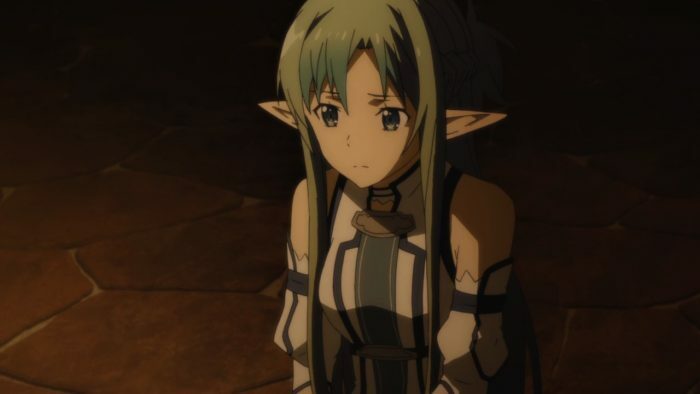 From her doctor, Asuna learns that Yuuki is a hospital patient with AIDS. 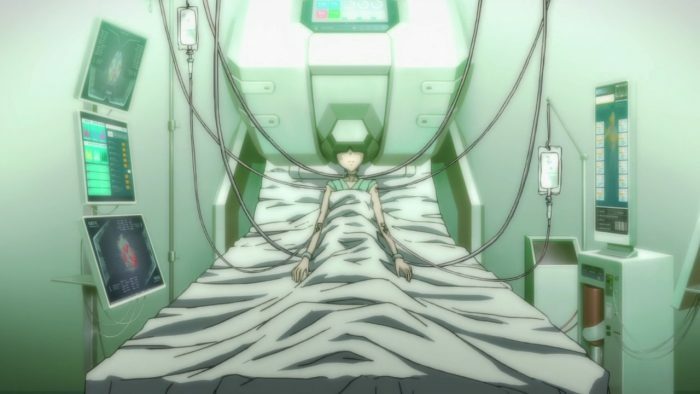 She is currently lying helpless in an air-controlled sterile room, attached to modern set of machines. The Medicuboid machine is a new technology in medicine, using the basic concept of full dive technology to treat patients. 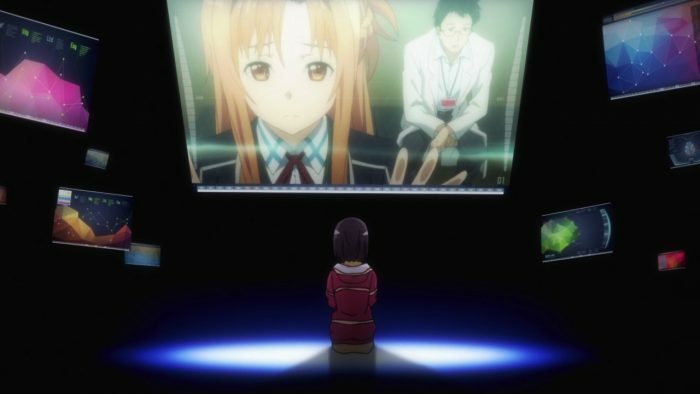 That’s the reason why Yuuki can join virtual world games. 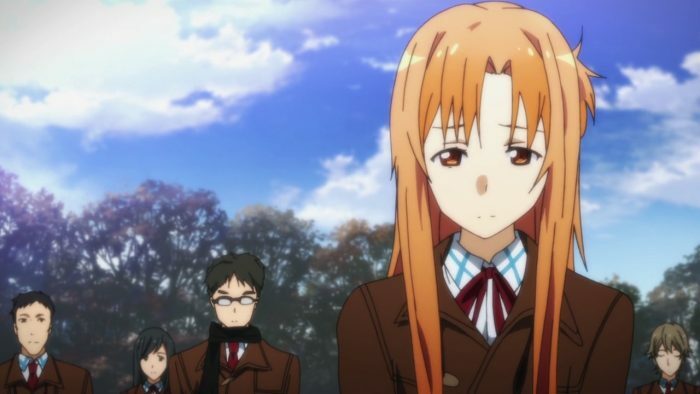 With her physical body not capable of doing anything, she practically “lives” in the virtual world. 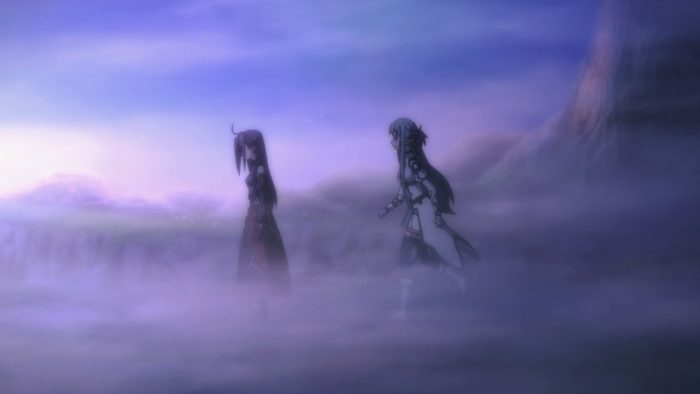 That’s why Kirito sensed something when he fought Yuuki to answer Zekken’s challenge. 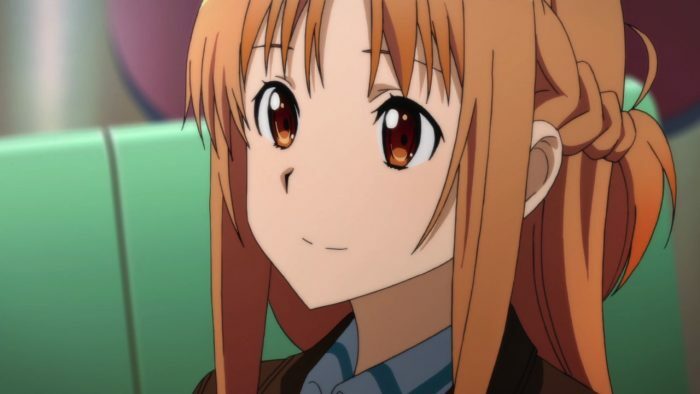 Yuuki is a patient with terminal AIDS. She was born with drug-resistant virus because her mother received blood transfusion during her labor. 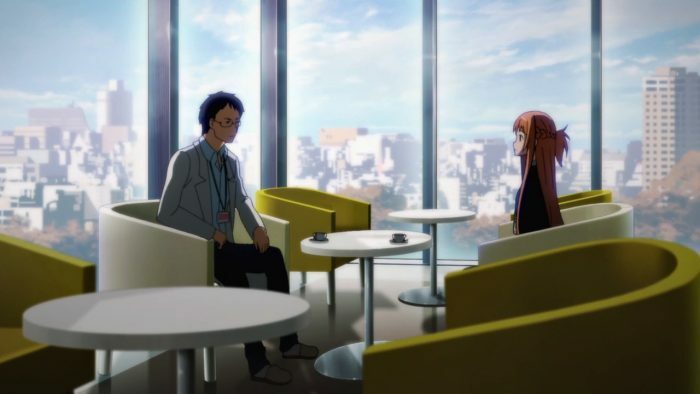 Medicuboid technology eases her pain, but does not really treat the illness.